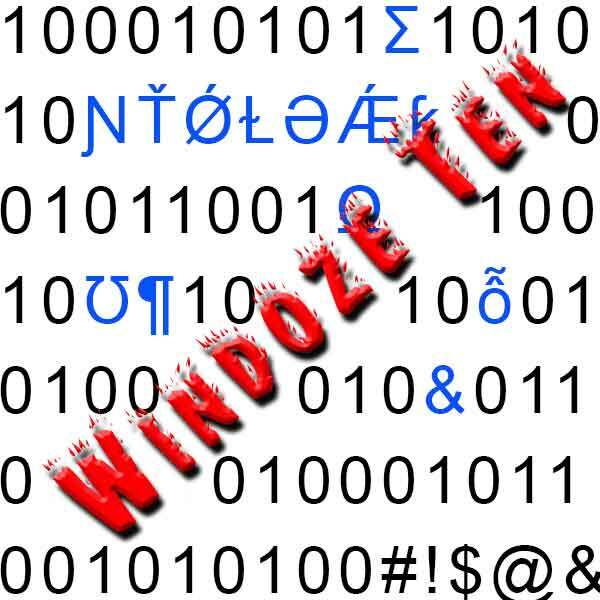 As anyone who has every read any of my posts knows by now, I consider Windoze Ten to be right up there with Millennium and Vista in terms of absolutely horrible OSes. So it should come to no one as a surprise that I have yet another lovely little horror story to relay. I’m sure you know lots of “IT guys” who LOVE WinTen. I hear this all the time. “It’s great” or “best OS in years” nonsense. And you could almost believe this working in a corporate IT environment. Anyplace where repetition makes for simple management will give you fewer headaches. That’s pretty simple. If all the equipment you manage is (fairly) new and identical, you can come up with a blueprint of the applications and configurations you want – and deploy them to all your hardware. This makes for uniformity. It’s easy to deploy and manage and you don’t get a lot of surprises. But it also makes you very insulated. You don’t get to see the daily horror stories like those of us in the trenches. Guys (and some gals) like me see something different Every.Single.Day. We see the head-scratching scenarios NOBODY in corporate will ever experience. And we see them all the time. This is exactly what has formed my opinion of WinTen. It’s a slow-motion trainwreck. Four times since 2016 there have been major “updates” to Windoze Ten. The problem is… These are anything BUT upgrades. They are full reinstall of Windoze. When they strike, your computer may be down for hours while it re-installs and (tries to) get everything working as it was before. Seven times out of ten everything is pretty much OK. Frequently you will experience problems like no Internet, inability to print, display anomalies, etc. I’ve had business clients out of business for DAYS while we got everything reinstalled and configured. Entire networks have gone down. So to me it comes as no surprise to find what I encountered on Thursday of last week. A new client contacted me about a Lenovo tablet that wouldn’t boot. So off I go with a carload of tools, test equipment and data recovery tools (you just never know). This turns out to be one of the tiny Lenovo solid state laptops. 14″ display, really small and originally Windows 8 – “upgraded” to Windoze Ten. I tried every trick in the book while I had it on site to no avail so I brought it back to the shop for some intense R&R. There’s no way I’m getting an OS to load or reinstall on this machine. The data is simply too badly damaged for this. So I disassemble the laptop, remove the 256GB SSD M card and connect that to my diagnostic machine (a BEAST of a Dell 16″ i7 Windows 7 laptop with dual drives, lots of storage and an armada of special utilities. When I get the storage card mounted and look at it, I find out what happened. Windoze Ten tried to install the latest update (Build 1803) on September 20. At that point it slapped the snot out of the file system. I was able to copy some of the user data off to storage. But the Downloads folder was completely corrupt. The Documents folder was toast also – and Dropbox was inaccessible. Massive file structure damage took place during Micro$oft’s latest pillaging of the file system. A full data recovery scan (several hours machine time and 3 more to salvage it all) recovered everything. This kind of file system destruction is generally reserved for conventional spinning disks. I’ve never seen anything quite like this on SSD – until now. So congratulations Micro$oft. You’ve outdone yourself.